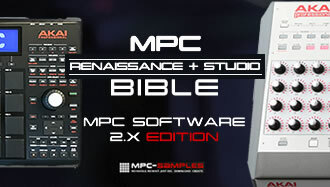 This is a guest article from Eddie Bazil, the chief sound designer at MPC-Samples.com. This article is an excerpt from Mixing Simplified Vol 1: Creating the Perfect Stereo Mix, which shows you, step-by-step, how to handle the process of mixing down a stereo track from preparing your environment right through to adding effects and proper use of levels and panning. What is a ‘good’ mix? I don’t think there is a single forum that I visit, that does not have at least one thread a day devoted to the subject of mixing. The most common questions pertain to how to obtain a good mix, what are the best tools to use, why a mix sounds one way in the studio and another way in the car or at home, what makes a good mix, where does one start, how does one mix, whether there are any good tips or guides on mixing drums or vocals etc. I could go on but, suffice to say, mixing is possibly one of the most important subjects in the audio recording industry, and a subject that is rarely explained in laymen’s terms. What is usually offered in terms of tutorials are ridiculous ‘frequency’ charts, that help no one and are so general that anyone could invent a chart in the ball park frequency range of any given instrument, and still be relatively accurate. Or super-technical script on what a particular piece of equipment offers in terms of features, but no actual hands-on experience of the use of the equipment in a studio scenario. Or, even more distressing, a huge list of expensive esoteric equipment that very few modest producers can afford. Also, in the useless advice section, goes the famous ‘Apply these following settings to your bass track and it will sound meaty and great and be perfect in the mix’. What utter rubbish! These are all subjective, and often not very helpful. Every situation is unique and warrants it’s own solutions. What I try to achieve in my tutorials is a hands-on approach with emphasis on visual and audio representation of the tutorial’s content. I then marry this experience with examples of how not to do something and what to expect if another route is chosen, basically, advice that you can hear and see, and advice that you can apply to your own situation. All figures and diagrams are estimates and unique to my own situation and setup. I can only recommend techniques and data that I feel have a more universal reference, so that you too can enjoy the benefits of what I know. Another area that seems to be debated regularly is that of ‘talent’ or ‘having an ear’. Of course, as with any talent, it helps if you have an ear for sound, but it is not a ‘must have’ requirement. You can train yourself to listen better and more accurately, but more importantly, if you understand the techniques and tools required in creating a good mix, then that will suffice. Never feel as if it is not worth the hassle to learn how to mix. 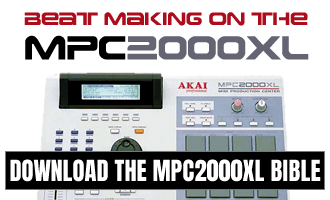 The process of learning how to mix will aid you in other areas of music technology. This can only be a good thing. I know lots of producers that do not have an ear for music but are excellent at what they do. They have trained their ears to recognize what can be deemed as a good mix. The same analogy can be made for car drivers. There are drivers that have a talent for driving and pick it up quickly, and there are drivers that have no talent but once they learn how to drive, they are then able to drive. But before we can even contemplate on the mixing process, we need to understand what constitutes a ‘good’ mix. This is not a grey area and not in the least bit confusing, or up for debate. A good mix is actually quite easy to define. Obtaining a good mix is another story entirely. What elements qualify a mix as ‘good’? Balance (both frequency content and stereo field). It’s that simple.The above is a simple list of criteria that must be fulfilled before a mix can be labeled as ‘good’. But, hang on, is that all there is to it? In terms of defining the attributes of a good mix, yes it is. In terms of defining a good mix for the genre it is aimed at, it still is, but with additional factors to consider and implement. We will cover this particular area later in the book. 2. Clarity: the audio must be clear to hear. No mushiness (or wooly effect) in the recorded audio, no particular bias to any form of EQ, nothing that can hinder you in the event that you need to dynamically treat the audio. The final mix must be clear and not display any of the above. A mushy mix is as bad as a mix that is too rich in high frequencies. All instruments/voices must be clear to hear. The above are the basic criteria for a good mix, but within those criteria exists all the other important factors that are needed to be fulfilled for the mix to be deemed as ‘good’. Equally important, and one that many overlook, is the area of recording. If your source material is good to start with, then your job of mixing is made much simpler, more accurate and more enjoyable. The above list goes a long way in incorporating this thinking. The subject of recording is a huge exercise in itself, and best left for another time. What I am trying to achieve in this particular e-book is to show you that you can become fluent in the techniques of mixing. Note I use the word mixing and not producing. I feel the role of the producer has been completely misunderstood in today’s age and that more and more people are using this title as if it were a prerequisite to understanding how to mix, and nothing more. We have quite clearly defined roles in this industry and the role of the engineer and producer has now been blurred into the all encompassing ‘producer’. I often see youngsters, and even well known artistes, using the term ‘beat producer’ as the equivalent of someone who produces a track or album, or even vice versa, a beat programmer being labeled as a ‘producer’. This I find belittles the roles of the engineer and producer. If accuracy is what you are after, then one needs to be very clear about the roles and qualifications of the people involved in this industry. By qualifications I do not mean college degrees etc, but someone who is qualified to perform a certain task that they are trained to perform, and experienced in. We have PA engineers, studio engineers and multimedia engineers, post production engineers, mix engineers…zzzzzzzzzzz. The same list can be applied for producers. My job here is not to define these roles but to afford the reader the knowledge and experience required to mix a track successfully and truthfully. So, we now have an idea as to what constitutes a good mix. We can proceed by tackling the categories in the list and hope that that will be sufficient. For you to understand how to mix and actually perform the task and hear the result as you hoped, you will need to calibrate your setup and prepare the listening environment, so that what you hear is exactly what is being treated, and the final result should not be a surprise but exactly what you expected it to be. I cannot stress how important this is. It is actually more important than any knowledge you can gain in terms of using the tools for mixing. It is the one most important factor that governs all areas of our industry. Without a ‘correct’ listening environment, no task can be truthfully processed. Mastering engineers will spend more time and money in preparing and constructing their listening environment, than they will spend on any tool that they will ever need. Take this as Bible. So, we now have a framework to get us started! If you found this article helpful, you should check out the full ebook it came from which contains 96 pages of information on how to create the perfect stereo mix.